“Friends have the ability to make you cry when you are happy and make you smile when you are sad. Yes, It’s Together from Ishita Bhown. Though, it’s her debut novel but in every turn of the page, I could really feel that she has put her heart in it. Many may consider it to be another chick-lit of sort but for me, it isn’t. This piece is something that every reader would surely relate to at some or the other point. Agreeing the storyline of friendship and college life is common these days but the simple, refreshing element and innocence in writing style gives the tinge of difference to this piece. 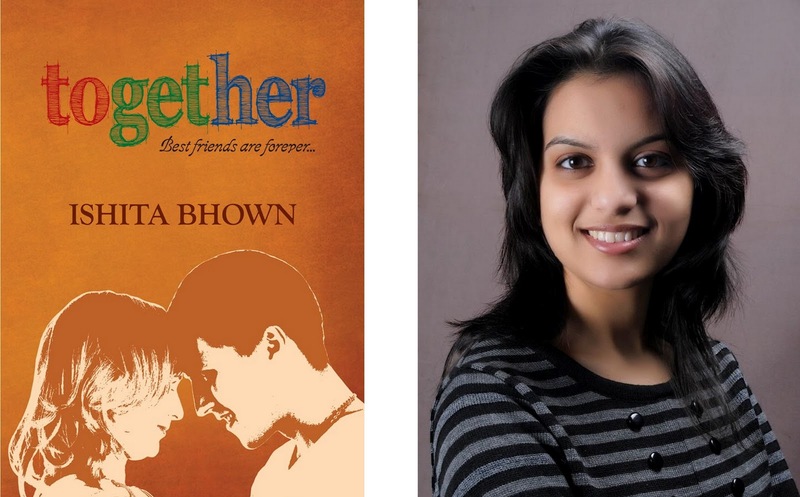 Presentation of title in the form ‘Together’ on the cover page itself gives the touch of creativity and reflection of uniqueness of thoughts of the writer. Starting from the “Stop, first year?” to the last line “Those were the days!” I was totally engrossed in it. The best part that held me all through is that it’s VERY CONNECTIVE AND REAL. Subplots and incidents are convincing to great extent. Summing up, it’s a commendable effort to put up a common topic of today but with an edge of difference. Coming to the story, it’s the roller-coaster tale of a new entrant to the big bloomed world of engineering. Story of Ayesha and her new phase of life,from being ragged to her first friendship, crush, gossips, fun , laughter, cheers, and what not so! Talking in the words of an engineering college student, this book takes me in the memory lane of most beautiful and exciting phase of life. Framing of characters has been done in a very interesting manner. Let it be the protagonist Ayesha or her friends Lakshit , Kabir, Jia and all the others are the cherry on icing J. On a personal level, I did feel end could have been better. But, this not at all affected my smile that those 177 pages gave me.